Christmas is coming up and I wondered how other European countries might be celebrating this time. My love for curiosities led me directly to some different traditions of our neighbours. 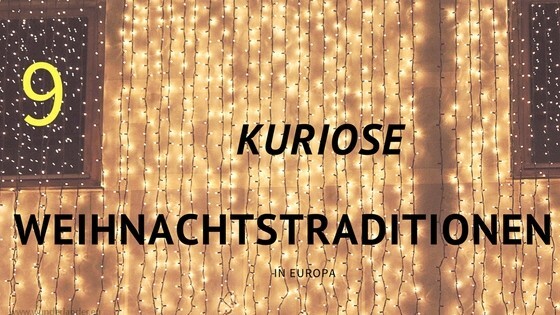 Christmas traditions in Europe are as varied as the countries themselves. The Spaniards don’t just try their luck in the new year. The traditional Christmas lottery “Sorteo de Navidad” starts on December 22nd and all Spaniards participate. In 2015, the “El Gordo” jackpot was 4 million euros and the lottery is one of the largest lotteries in the world. The drawing of the lottery numbers is watched on television by at least every second Spaniard, 73% of all adult Spaniards participate in the lottery. Television advertising for the lottery is also well known. The spots are advertised from the beginning of November with small, emotional short films. Interesting fact: since the introduction of the euro, the television drawing of winning numbers has had to be shortened by nine minutes, because children need less time to sing the profits in euros. In previous decades, the currency was still pesetas. In Norway, Christmas is a holiday for the whole family. The little Troll Julenissen brings the presents there. The Christmas tree has been part of the celebration since about 1900. Since then, an old Norwegian Christmas custom has been the round tour around the Christmas tree. People grab hands and form a circle around the tree. Christmas carols are sung in a circle. Hopefully there will be no feeling giddy… . 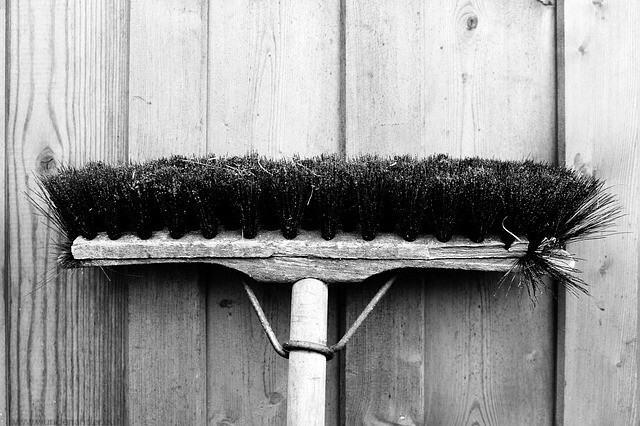 But the oddest thing is that before and during the holidays, brooms, mops and other long-handled cleaning objects are carefully locked away as a precaution. According to legend, witches and wizards like to come out of their hiding places in order to do their mischief with people. The Norwegians prefer to hide everything that could be used by the magicians to fly. Preparation is everything! Apparently they still exist in Hungary: witches. 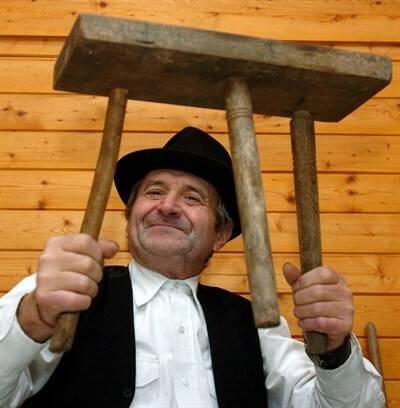 To protect themselves from them, the Hungarians are preparing a very special stool from December 13th. But why? The so-called Luca chair consists of seven different types of wood and is designed to protect the Hungarians from witches. On Christmas Eve the chair must be ready and will be taken to the Christmas mass. As a viewpoint to witches, one stands there on the chair and looks around. If you discover a witch, you quickly take the chair and run home with it. A particularly clever trick to escape the witches on Christmas Day is spreading poppy seeds on the ground. The witches have no choice but to pick them up before they can start their persecution. Arrived in the house, the chair is burned and you are protected from the witches for the next year. In Iceland, no one person or figure brings the presents for Christmas, but 13! Christmas dwarfs from the mountains are little gnomes that look like Santa Claus as we know him. Little by little they show up before Christmas. From December 12th, a Christmas gnome is added every day until Christmas Eve, when all 13 dwarfs are gathered. Then the traditional Icelandic Christmas dinner “Jolaar” is eaten, the Christmas sheep. Afterwards, a dwarf goes back to the mountains every day until Epiphany on January 6th. A lot of coming and going! A particularly nice tradition, which reflects the hospitality of the Poles, is this: on Christmas Eve the traditional Christmas dinner is always accompanied by an additional table setting. If an unexpected guest joins for Christmas dinner or a poor person knocks on the door, you are prepared. Still, most of the time nobody comes. In Catalonia there is a very special Christmas custom: a gift… eeh…”crapping” tree trunk, the “Tió de Nadal”. 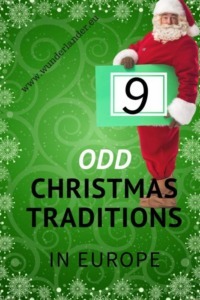 During the Christmas season, the children decorate the tree trunk with wooden legs that put it in a semi-upright position, a hat and a painted face. There must also be a blanket to protect against the cold. On Christmas Eve, the children sing a song and beat the trunk with sticks. After removing the blanket, you will find sweets and small gifts that the “Tió de Nadal” has dropped out. Tempting! Ireland, the land of legends and trolls also has some surprisingly simple traditions. On Christmas Eve, for example, burning candles are placed in the windows to greet strangers on Christmas Eve and to commemorate those who cannot be at home on these holidays. On Christmas Day itself, the toughening of the island’s inhabitants is being pushed to extremes: everywhere in the country, especially and most numerously on and around the Forty Foot Mountains, the annual Christmas swimming is being celebrated. Hundreds of people jump from a cliff into the icy waters of the Irish Sea. err……. On Christmas Eve there is a very special tradition in Bulgaria. An odd number of traditional meatless dishes are always served and eaten. Popular are here in particular peppers with rice filling and grape leaf and cabbage roulades. However, after the feast, the Christmas table is not cleared away, but left overnight so that the deceased can eat their fill. Traditions in the Czech Republic are still connected with tradition and superstition. 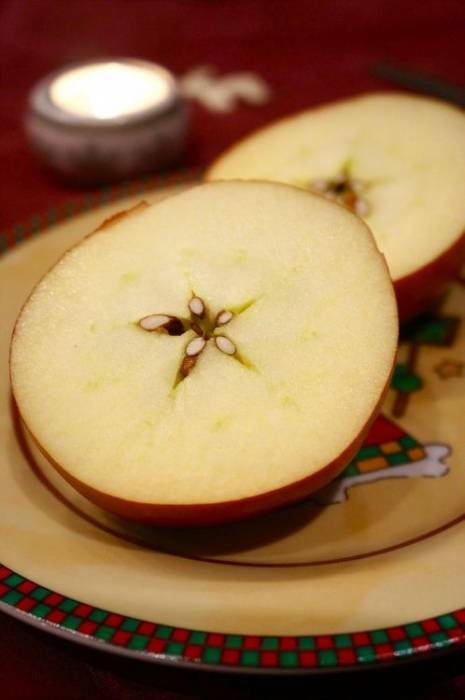 According to the old Bohemian tradition, after the Christmas dinner an apple is cut open crosswise with many rules and the future is predicted. If the core is star-shaped, this means happiness and health. A cross-shaped core predicts disaster and means that someone at the table will fall ill or even die within the next year. Cheers for dinner! 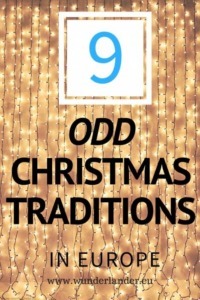 What other Christmas traditions do you know of? What a funny post. This story of Luca chair just made my day. I tried ice bathing when I was in Ireland. I think I would do this again. This was an amazing experience.